Born in Boston in 1975, Jennifer was raised in Bridgewater, Massachusetts. After graduating from Bridgewater-Raynham Regional High School in 1993, Jennifer studied at Aquinas College in Milton, Massachusetts graduating with an Associates Degree in the Executive Legal Assistance Program in 1995. She worked as a legal secretary for Sherin & Lodgen, LLP in Boston from 1997 through 2001 before taking a position with Brown Rudnick LLP where she worked as a legal executive assistant form three years before becoming the Executive Assistant to the Administrative Partner at Brown Rudnick from 2004 through 2009. 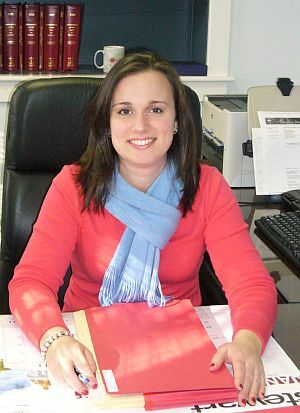 Jennifer obtained her Paralegal Certification from Northeastern University in 2002. She started with Attorney Moody in March of 2009.